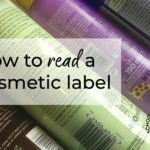 Professional cosmetic formulas are written in percentages. So how do you convert a formula written in percentages into a weight based recipe you can make? How to calculate different batch sizes. 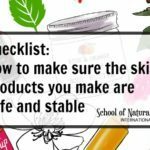 The examples used are for a simple skincare product, however the same calculations apply to any type of cosmetic product such as haircare or bodycare. 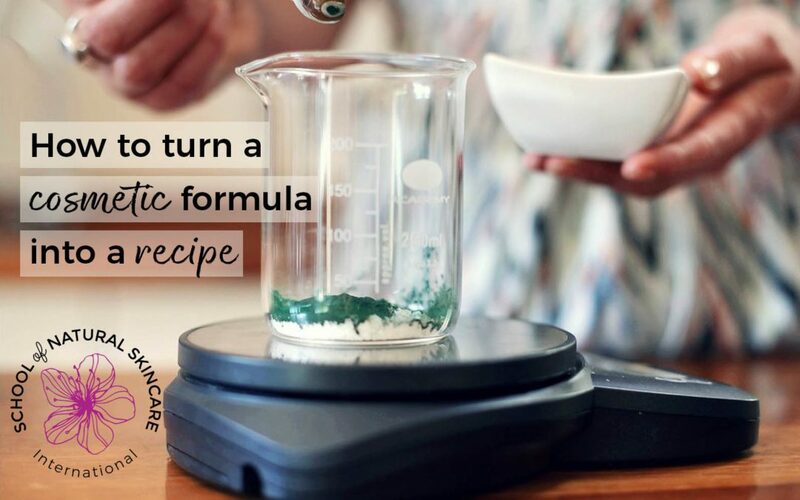 One of the benefits of writing a formula in percentages is that it’s very easy to make different batch sizes, and when we talk about a batch, we simply mean a quantity of your product. That could be large or small depending on how many individual products you want to make. So let’s start with an easy example. Here is a simple formula for a facial oil which uses 50% jojoba, 30% rosehip, 18.4% macadamia, 1% lavender, 0.5% frankincense, 0.1% Vitamin E.
If I wanted to start by making a 100 gram batch, this is a very easy calculation to make. So to change a formula into a 100 gram batch, all you need to do is replace the percentage symbol with grams symbol; you can do a straight swap. Fifty percent jojoba oil would be 50 grams of jojoba oil, 30% rosehip oil would be 30 grams of rosehip oil, etc. So as you can see, this is very easy to do. If you want to make a test batch of something like a cream or a lotion or a body butter, then a 100-gram batch is a good size to start with. For those of you familiar with ounces, 100 grams is about three-and-a-half ounces. 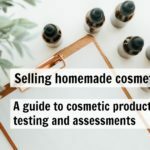 When you’re confident that you like your product, and you don’t want to make any more adjustments to your formula, then you’ll most likely at some point want to make a larger batch size. 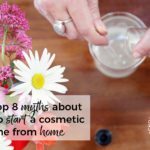 To do this, you firstly need to decide how much product you want to make – the total size of your batch. You then need to work out how much of each ingredient to use, and there is an easy calculation to make. This calculation is the percentage of the ingredient divided by 100, multiplied by the batch size. In this example, we’ve chosen to make a 250-gram batch. So in the example of jojoba, this would be 50 divided by 100, multiplied by 250, equals 125 grams. You simply need to do this calculation for every ingredient, and write down the corresponding weight of that ingredient that you would need to include in that batch. Once you’ve calculated all of the individual ingredient weights, total them up to check that the total weight equals the total batch size that you want to make, and then you’ll know that you’ve done all the calculations correctly. As part of our formulation courses we provide a batch calculator. So all you need to do is to type in your batch size in the correct cell, and then your ingredient percentages in the correct cells, and the Excel sheet will calculate the weights for you. So as you can see calculating different batch sizes is a necessary skill to make larger batches of your product. It’s an easy calculation to do but care must be taken to ensure it is correct. 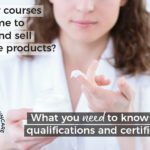 We're going to take you on a journey to help you move from where you are now to understand what formulating is and how you can create awesome skincare products from scratch (for yourself or to start a business). Yes, really! 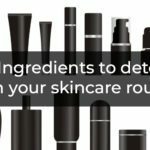 Formulating isn’t just for Cosmetic Scientists, it’s for you too. We’re going to show you how.